This property is part of parcel 62 05 08 34 3 001 029.000, as shown in picture. 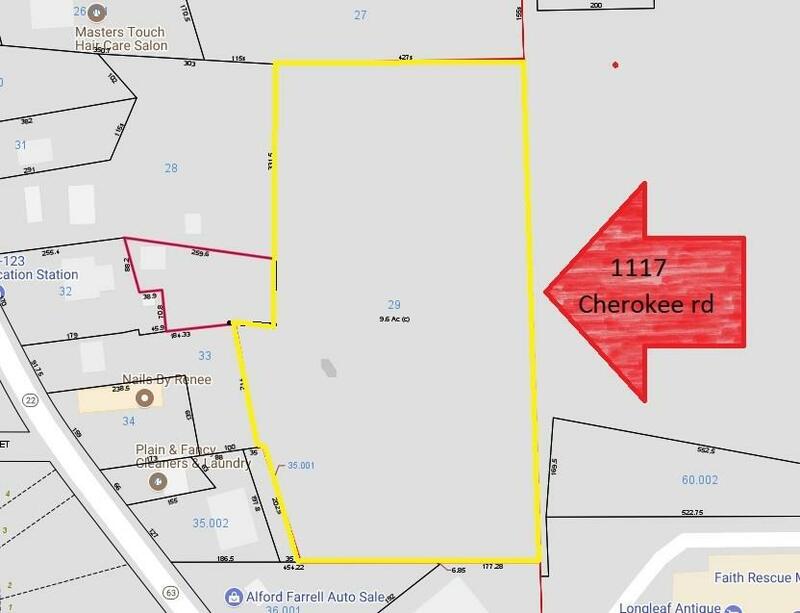 This property is listed for sale along with 1 other property adjacent to this property which has approx 1 acre and a house on Cherokee Rd that is listed for $125,000 both properties would make a great development. There is a tenant in the rental house and could be sold separately.